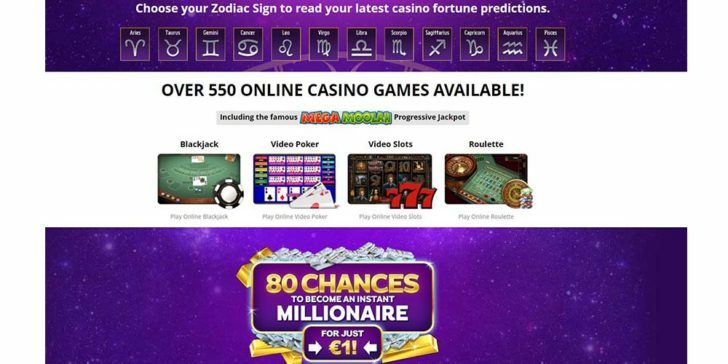 Zodiac Casino gives its members exclusive access to a massive library of more than 350 online casino games. Each of the games has great graphics, themed sound effects, and smooth animations, making every game a unique casino experience. Zodiac Casino even offers 18 different Progressive Jackpot games, including slots, card games, video poker and table games. These progressives have prize pools that get a little bigger every time someone bets on them and they keep growing until someone wins. They often reach massive amounts like the last Mega Moolah jackpot that was hit at $6.8 million! 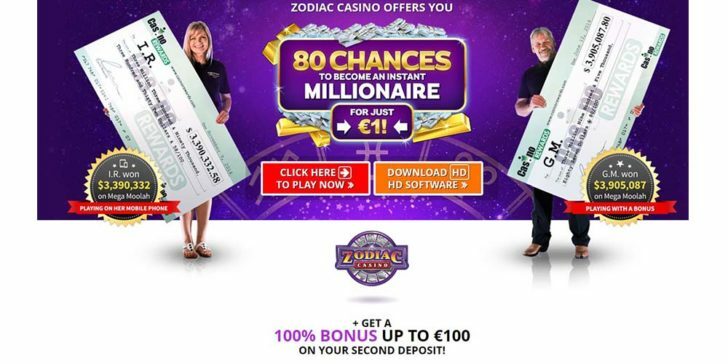 Zodiac Casino automatically enrolls all their members in the exclusive Casino Rewards loyalty program, which is the best of its kind on the net. It is network-wide, so any players who are members of other participating CasinoRewards sites can pool their points into their Zodiac Casino account for maximum effect. New players at Zodiac Casino are treated with a 2000% bonus for a smallest possible deposit of $1.